A monosaccharide has a lot of types and Pentose is one of them. It is the monosaccharide with five carbon atoms in its bond. Pentose is one of the most important chemical substance. Before a German Physician did a test to check its presence, there were no methods to do it. You couldn’t easily tell whether Pentose is present in a compound or not. But when Manfred Bial performed this test to check the presence of Pentose, it brought a revolution. Now you can easily check the presence of Pentose in any compound with the help of Bial’s test. 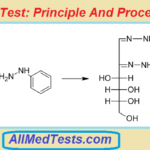 It is one of the simplest chemical tests and the best one for checking the presence of Pentose. The test is performed with the elements and compounds that are easily available in any lab. 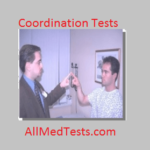 Let us take you to the procedure and details of performing the Bial’s test. The reagents are the chemical compounds which are necessary to perform some chemical test. 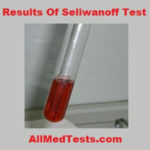 Just like any other test, there are few reagents that are used in this test. The compounds being used in this test acid are Ferric acid, hydrochloric acid, and orcinol. The reagent is prepared by combining these compounds in a balanced manner. The reagent for Bial’s test is easily prepared by adding these compounds in a balanced proportion. The amount of orcinol in the reagent is 0.4g is added to the 200 ml of hydrochloric acid and 0.5 ml of ferric chloride solution is also added to complete the making of reagent. When you are done with the preparation of the reagent, you are free to continue the test. 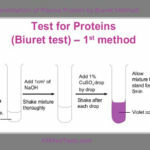 Now you can easily check the presence of pentose in any compound with the help of this easy chemical test called Bial’s test. 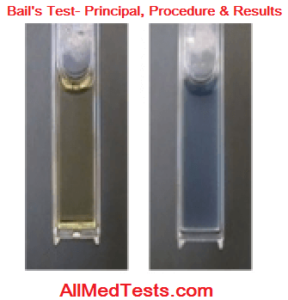 The Principle behind this test is a very simple and easy one. It is just a simple chemical test to check the presence of pentose. Also, I have already mentioned that it uses a reagent made of 3 chemical compounds consisting of two acids and one other element. Bial’s test is basically a qualitative test and it can be done as quantitative by changing some measures. By learning some easy steps and important precautions, this test can be done easily. Now I am going to explain some easy steps to perform this test. Make sure that you follow each and every step carefully. It is very basic but make sure that you don’t wander off from the guide. Make sure that you have prepared the reagent as mentioned in the above heading. Now if you have all these things, we are good to go with the test. Here is a simple step by step guide procedure to perform the Bial’s Test. Make sure that you have the following items to begin the test. Bial’s Reagent. (Method for the preparation of reagent is already mentioned in the 2nd heading). A Test Tube which is a basic element to perform every chemical test. A Bunsen burner or a hot water bath. Once you have these elements you are good to go with the test. Following is a step by step procedure to form the test. In the first step, the sample solution of amount 2 ml is placed in the test tube. In this solution, the next step is to add Bial’s reagent in the amount of 2 ml. The 3rd step in the test is to heat the solution. That could either be done in the Bunsen burner or a hot water bath. Now wait for the color to arrive. You can try adding more water if the color is not clear. The reaction works in a way that pentose is dehydrated by the reagent and a furfural form is formed. Ocinol then reacts with this furfural which then reacts with iron to give a bluish colored product and the presence of pentose is detected. 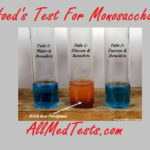 A positive result in indicated when a bluish color appears in the solution. Remember that only bluish color indicates a positive test. If some other color appears then the result is negative. And this was an easy experiment to perform and check the presence of pentose. Did you like this article and was it helpful? If yes, then don’t forget to leave us your feedback about the article. Also, visit our homepage to learn about more scientific tests and more. The article on Bial’s test is fully understandable and reader friendly. Would you please describe its relevance in the Medical Setting? I want to cite your information. Could you give me a citation. yes…but you would have to add the url of this page. I’d like to cite this information also may i be provided with a citation? you can cite this information and just add the link/url of this post as citation.